There was a possibility that, befuddled by whisky, he accidentally tumbled into the waters swirling below – that he didn’t intend to die. At one level, Henry Sperling’s suicide was not surprising, and explicable. His devoted wife had died and he had let himself go. He wouldn’t look after himself, he drank too much and he wouldn’t let anyone help him – not even the two sons who loved him and had reported him missing days before his death. 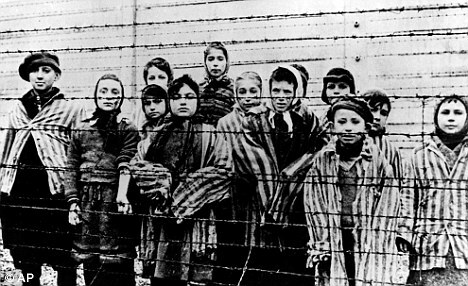 As a teenager, he had been an inmate of not just one, but seven Nazi concentration camps – including the horrific extermination complexes of Treblinka and Auschwitz, where two million men, women and children were gassed and incinerated. He had witnessed the extremes of man’s inhumanity. For all his efforts to leave the past behind, the memories of slaughter would never release their grip. As 62-year-old Hershl Sperling – his real name – sank beneath the murky waters of the Clyde in September 1989, the death camp of Treblinka claimed its final victim. Only after his death, when Smith began to piece together the details of Sperling’s past, did he come to realise that he was haunted and tormented every day of his life – and for very good reason. His story was one of unremitting horror from the day the Germans overran Poland in 1939 and began their systematic elimination of the country’s Jews. They were told they were to be re-settled in the east, but most realised this was a lie. 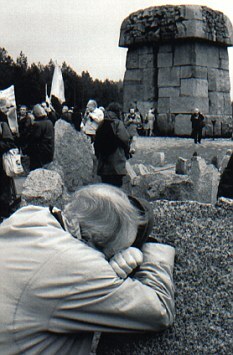 They duly arrived at Treblinka – its pretty station with a clock and fake ticket window a cover for its barbarity. 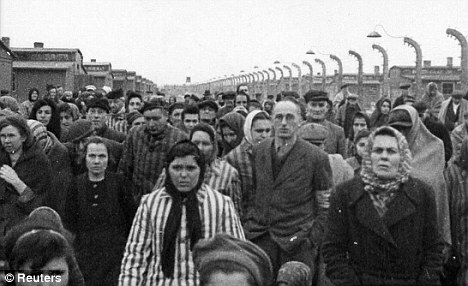 Within 90 minutes, after being stripped of possessions, clothes and all human dignity, they were prodded naked down what the SS laughingly called Himmelstrasse – ‘the road to heaven’ – to the ‘showers’. Just before he reached the door of one of the camp’s ten gas chambers, a hand reached out and grabbed 15-year- old Sperling, pulling him roughly to one side while the rest, his own family among them, stumbled onwards to their deaths. ‘For the meantime, we are safe,’ he noted in the 20-page testimony he wrote shortly after the war, a crucial, long-lost document which Smith uncovered and used as the basis of his book. ‘Crucial’ because Treblinka, which had opened just two months earlier, so thoroughly fulfilled its purpose as a death camp that very few witnesses survived to tell its awful tale – just 60 or so out of close to a million victims. Almost all the Sonderkommando perished, too, once they had outlived their usefulness in disposing of corpses or, in Sperling’s case, sorting the vast piles of clothes, watches, gold, hair and all the other incidental detritus of mass-murder. ‘He was always capable of being inconspicuous,’ his son Sam recalled. But, with hangings and shootings of the 1,000-strong slave force for the smallest of infractions, or just on a whim, his life always hung by a thread – and always at the price of his conscience as he connived with the oppressor in the killing of his own people. Sometimes, he envied the dead that their suffering was over – but the desire to live was stronger. The number of transports was falling. Treblinka’s murderous job was almost done. But the Germans were not about to leave witnesses behind. The Sonderkommando’s only hope of avoiding the same fate as the victims was to fight back. The agreed password was an affirmation of their determination. ‘Death,’ the man handing them out would whisper. ‘Life,’ the recipient would reply as he quickly smuggled a gun or grenade out of sight. But with the first shot – fired 45 minutes earlier than intended after a known informer was seen blabbing to an SS commander – the 800 inmates poured out of their workshops and, armed with whatever they could lay their hands on, rushed the SS barracks and set them alight. As they swarmed through the camp, many were cut down by rifle fire from the watchtowers – but the rest fought on with all the courage of men with nothing to lose. ‘The Jews remain firm,’ Sperling wrote proudly in his account. He ran without stopping for three hours, his hand gripping a small sack of diamonds and gold coins he had accumulated during his work – essential if he was to have any chance of getting to the safety of Switzerland. 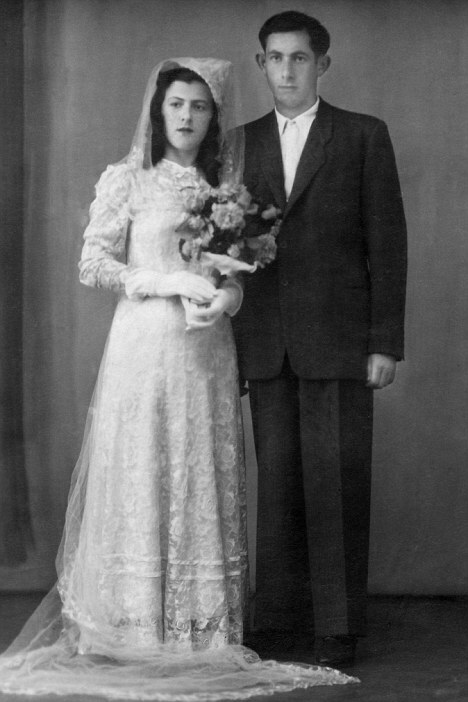 He was not identified as a Treblinka escaper – which would have cost him his life – but taken first to a penal camp and then, on October 2, to Auschwitz, where, for some unknown reason, the records described him not as Jewish but as a Pole. Years later, he would bewilder family, friends and therapists who treated him by insisting that ‘Auschwitz was nothing, a walk in the park’. It sounded unhinged – except to someone who had experienced Treblinka. 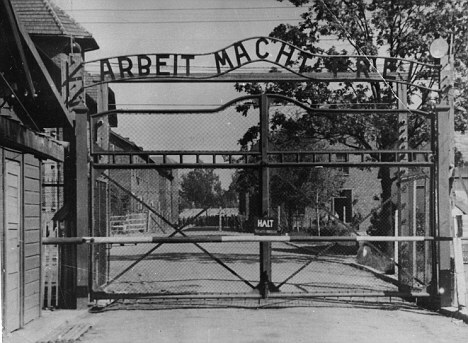 On his return to Auschwitz, he was assigned to Josef Mengele’s special work detail, known as ‘the zoo’, where the doctor was carrying out gruesome medical experiments on human guinea pigs, including castration. Friends suffered this fate, but Sperling was lucky – he was inspected by the mad doctor more than once, but not selected. His ‘invisibility’ had saved him. He went from job to job. The family moved to Israel, but that didn’t work out either. He tried a spell in Canada, with the same result. Sperling was doomed, says author Mark Smith, ‘to taste and smell the evil he had seen for the rest of his life’. Not for him the serenity of the survivor, but a never-ending nightmare. He shoplifted. He was volatile and unpredictable, ‘like sitting on top of a volcano’, according to his son Sam. ‘Even when he was calm, he was disturbed,’ said his other son, Alan. ‘This is worse than Treblinka,’ he whispered one day. Sam Sperling believes that what drained his father of hope – the spark that had kept him going through the camps – was when, in a lucid interval, he saw the film The Killing Fields about the slaughter of millions of Cambodians under Pol Pot’s communist dictatorship. 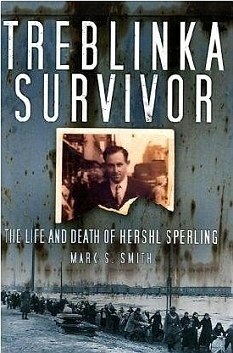 Treblinka Survivor: The Life And Death Of Hershl Sperling is published by The History Press at £20. To order a copy at £18 (p&p free), call 0845 155 0720. Previous Make Pakistan a Secular Republic?